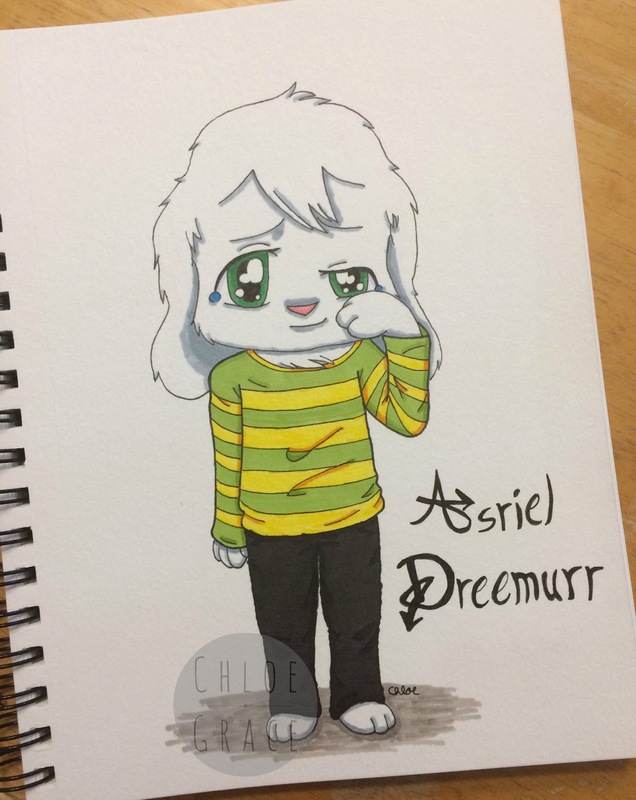 I did Asriel in chibi style, of course, because I'm drawing a bunch of UT in chibi. It was interesting to draw a goat but as sorta a human as well. Human because he stands on two legs and I basically drew him as a chibi person, but he's a goat-ish because he has big ears and he's furry and he also has paws. Yes, yes, I know he's a goat but he has paws. I don't know why, but that's how all the rest of the goats in the game are, as well. 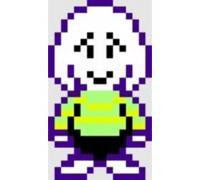 Here's a picture of how Asriel looks like in the game. 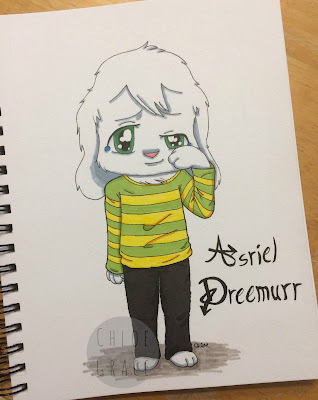 I didn't have a bright enough yellow in me and my sister's artist marker selection for Asriel's shirt. So I went into the old kiddie art supplies. I found a lovely yellow that worked perfectly. It wasn't the same quality, obviously, because it's just a regular ol' marker, but it did the trick nicely. I could use a darker yellow from artist markers for the shading. Speaking of shading, I tried something I haven't done that much. XD It's a super simple technique and I should have thought of this a longggggg time ago, but... I did two levels of shading. The first level of shading I did was simply going back over what I colored with the same color. And then go over it again for the second level. But only go over key areas twice. It makes it look like there are deeper shadows and there are lighter shadows too. The deeper shadows are places where, let's say, the clothes wrinkle more. 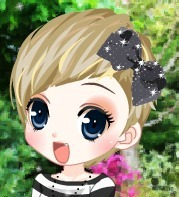 Or, for hair, color underneath the head or like behind the head, if that makes sense. What kinds of things make you super excited?